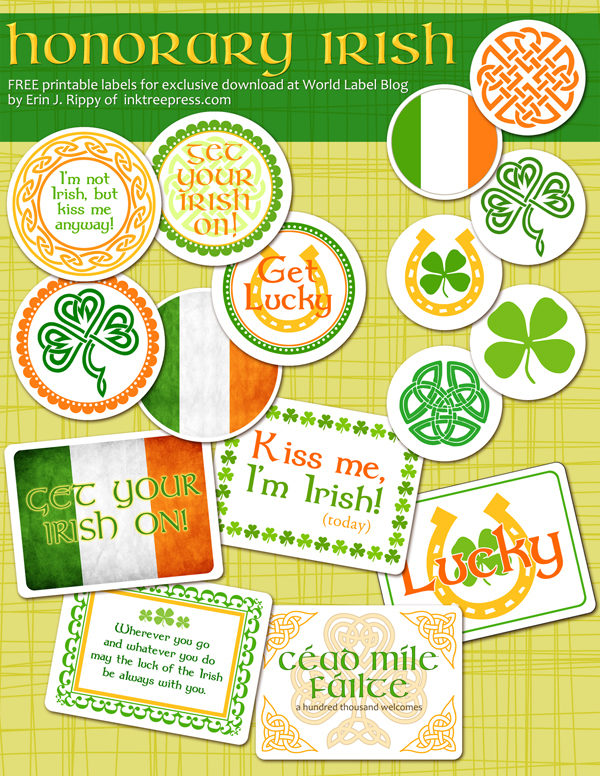 Honorary Irish St Pattys Day labels and stickers in a modern theme are designed by Erin Rippy of InkTreePress.com Labels are in ready to print Free label templates. Use Worldlabel.com products WL-775, WL-5375 and WL-2088 to print on. This entry was posted in Label Design and tagged free holiday label templates, free labels, holiday label templates, Irish labels, st patrick's day label templates, St Patrick's Day Labels, St Pattys Day Labels on March 13, 2014 by wlmanager. 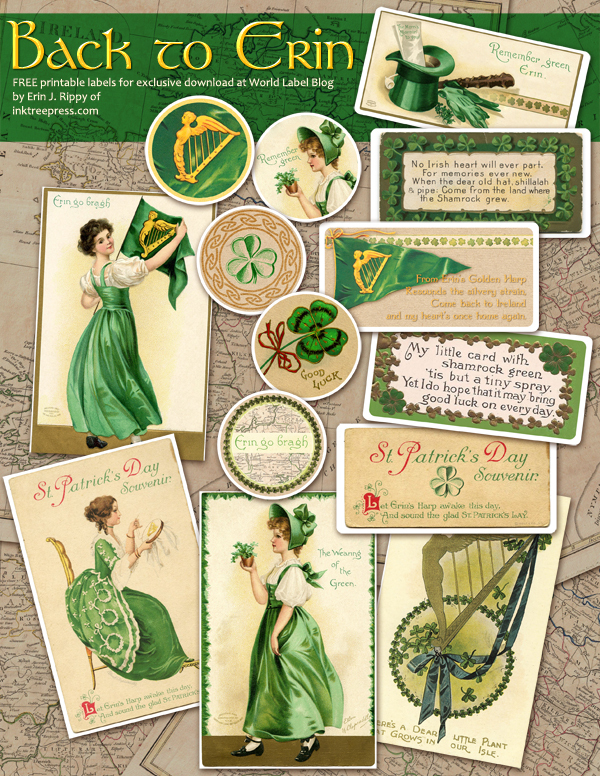 Back to Erin St Patrick’s Day labels and stickers in a vintage theme are design by Erin Rippy of InkTree Press Labels are in ready to print Free label templates. Use Worldlabel.com products WL-175, WL-125 and WL-5375 to print on. This entry was posted in Label Design and tagged free holiday label templates, free labels, holiday label templates, Irish labels, st patrick's day label templates, St Patrick's Day Labels on March 12, 2014 by wlmanager.